With lifting conveyors - add lifting power from the chart below to the level ground power from the chart above. Engineering ToolBox, (2009). 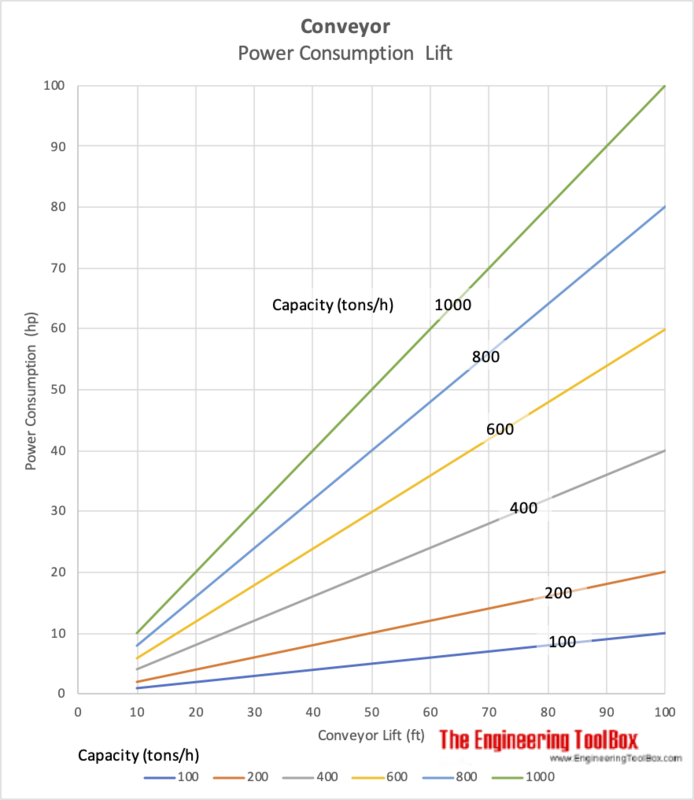 Conveyors - Load & Power Consumption. 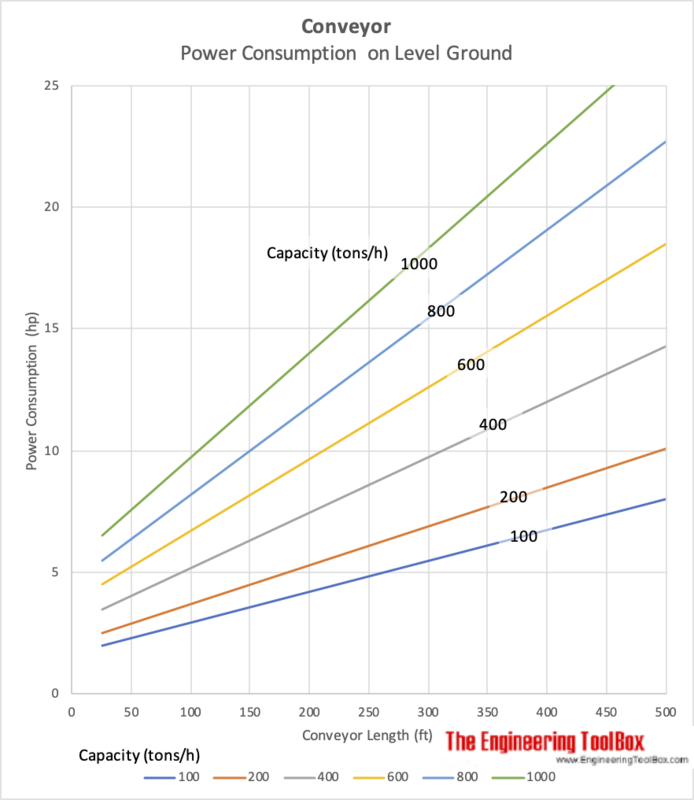 [online] Available at: https://www.engineeringtoolbox.com/conveyor-power-load-d_1560.html [Accessed Day Mo. Year].